This telecast could serve as the imprimatur of what’s wrong with opera in the 21st century. This is said not to criticize the Mozart/Da Ponte masterpiece which, of course is one of opera’s greatest works. Rather, it’s a swipe at the management of today’s opera houses in general and the Met’s in particular. These telecasts are only a decade old and yet the Met is repeating broadcasts of productions that have already been presented. In addition to Don Giovanni, Rusalka, La Traviata, and Eugene Onegin (for the third time) are being repeated. Is the repertory so impoverished or restricted that half the telecasts need to be retreads? These stutters are even more remarkable given that the two most interesting productions of this Met season are not on the TV list – William Tell and I Puritani. Michael Grandage’s 2011 production looks a little grungier than it did 5 years ago, but otherwise is a traditional rendition of DG that get’s everybody on and off the stage with no delay. The cast is entirely different, except for conductor Fabio Luisi. Simon Keenlyside returned to the Met after a four year absence secondary to medical problems. He looks about 20 years older than the rest of the cast which makes his a geriatric Don. I found his impersonation of the great seducer (who seduces no one during the span of the opera) coarse and stilted. The Don may be crazy, but he must have had some charm to allow for Leporello’s conquest list. He can’t just be a nasty piece of work Keenlyside’s voice also sounded a bit ragged. Leporello is as important a role as is Don Giovanni. 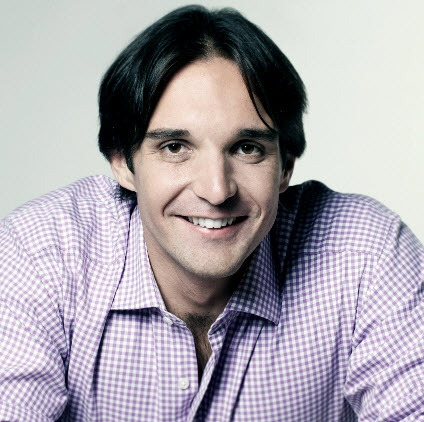 Adam Plachetka, a Czech bass-baritone, made his Met debut last year as Masetto. This year he’s moved up to the Don’s much abused side-kick. He has a beautiful, dark, and virile voice. His acting is vivid and convincing. He realized both the humor and pathos inherent in Leporello. Only 31 years old, a great career seems before him. He has Don Giovanni in his repertoire; tall and good looking he’ll likely do this role in New York before too long. Paul Appleby is a young American tenor who graduated from the Met’s Lindemann Young Artist Development Program and received the 2012 Leonore Annenberg Fellowship in the Performing and Visual Arts. He has all the notes for Don Ottavio’s two demanding arias. What he lacks at this early stage of his career is the grace and suavity of vocal line needed to realize Mozart’s intricate music. Matthew Rose is a British baritone who was Masetto today. He made his Met debut this season in this role. He too has an impressive voice and will move up to Leporello before this run is over. Korean bass Kwangchul Youn was appropriately ominous and commanding as Giovanni’s nemesis. He’s appeared 84 times with the company since his Met debut in 2004. Hibla Gerzmava is an Abkhazian-Russian operatic soprano who currently resides in Moscow. Since making her Met debut in 2010, she has appeared with the company 43 times. Her Donna Anna was vocally a little light and throaty. I thought her voice better suited for Donna Elvira. I also thought that Swedish soprano Malin Byström would be a fine Donna Anna. The Met seems to agree as she’s due to sing the role at the Met later in this season. She’s a very attractive woman whose rejection by the Don emphasizes that he’s after something beyond good looks, devotion, and personality. What exactly he’s after is ambiguous and is the reason that he must be portrayed as more than a feckless womanizer. Italian mezzo-soprano Serena Malfi was Zerlina. This is a role usually given to light soprano. Ms Malfi handled her part with aplomb. Conductor Fabio Luisi got everything needed from the Met’s great orchestra. The opera’s penultimate scene was powerful and terrifying as it should be. All I can complain about is that he wore white tie and tails for an afternoon performance. Matthew Diamond’s TV direction was completely invisible as it should be. He gets a perfect score. This brings me the weirdest moment I’ve observed on these telecasts – Simon Keenlyside’s interview with TV hostess Joyce DiDonato. As soon as Keenlyside appeared, he went into a breathless monologue about liberty which then morphed into a slaughter of the Declaration of Independence. He briefly touched on the French Revolution which he tenuously connected to Don Giovanni. Still on the same breath he simultaneously came out in favor and in opposition to multiculturalism. Then he allowed that his brain was small which hearkening back to Jefferson’s Declaration was by now self evident. While this filibuster was transpiring DiDonato’s jaw kept descending until it reached her patella. She appeared desperate to get Keenlyside back to Seville, but he wouldn’t stop talking or leave until he revealed the atrophic condition of his cerebrum. I hope the interview makes it onto PBS and the inevitable DVD. Opera is great.